Today we will continue the series dedicated to the start of the ant keeping season here in Australia. Today we will go over the ways to determine whether the ant you found is a Queen or not. In order to do this we'll look at some basic anatomy and some common examples that people confuse as Queens. Size: In most cases your queens are likely to be a bit larger than workers of the same species. For most ants this difference is going to be rather significant however in semi-claustral species (queen ants that forage rather than staying in the nest permanently), this difference may only be a few millimetres. If you see a larger than usual ant I would always give it a look over to check it's not a queen. Wing muscles: For claustral ants, the shape is going to be huge give away that it's a queen, rather than a worker. The Queens will have a very large thorax (middle section). This section often looks she is wearing a back pack (blue arrow). Wing scars - With the exception of some special ants, queen ants have their mating flight and then drop their wings. This leaves very distinctive scaring and is sometimes the only guaranteed way of determining the ant is a queen (red arrow). Ocelli - Both queen and male ants often have ocelli on the top of their head. These are very simple light sensing organs (not true eyes) and may help them find a mate (green arrow). Some worker ants of certain species also poses these, such as Myrmecia, so this is not always a guarantee. 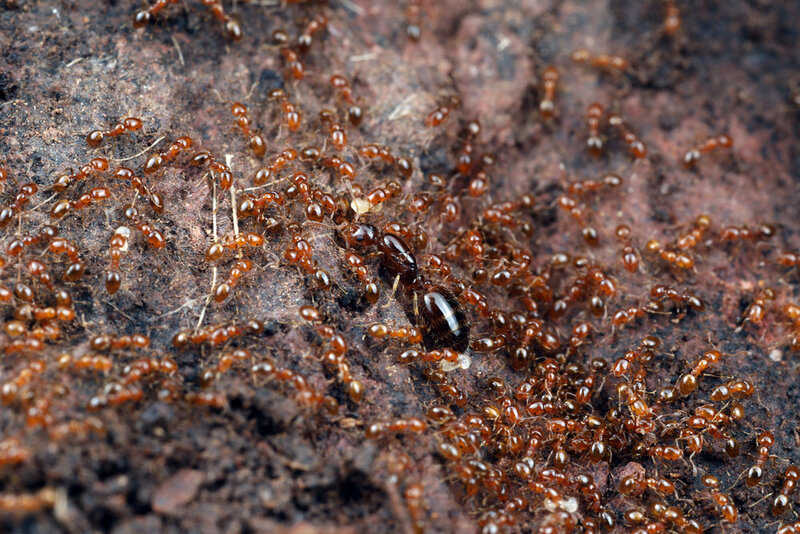 Majors - Some species of ants have special workers called majors. these are much larger than usual workers and they often have very large heads relative to the rest of the body. People often see the big ant and assume it's a queen. So to check it's not a queen look for the anatomy we described early and if it has a really large head it's probably not a queen unfortunately. Drones : Male ants or drones fly during a nuptial flight so they have wings just like a queen. From that alone it's easy to imagine how they can be confused with queens. Distinguishing between the two can be challenging however males always look distinctly more wasp like. Their heads are often very small and similarly with their gaster. A nectar filled worker: When workers find food they swallow it and return to the nest where they regurgitate it and share it with workers. The ants gaster often looks large and swollen and can be confused with a queen. I hope this has been helpful in determining whether an ant is a queen. It can be rather difficult and takes practice so always ask for advice if you are unsure. The best advice I can personally give is follow the weather more closely. 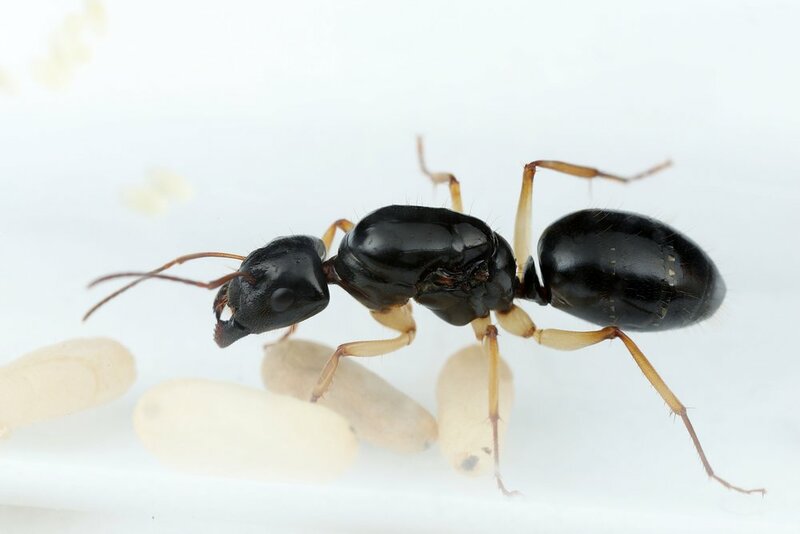 If you find a queen ant record some details that you might be able to use in following year. Make notes on the humidity, the time of day, the location, those sorts of things. Any detail that may influence when a nuptial flight may occur is potentially very useful information. Another great resource for this kind of thing is Taxonomers.com as the weather conditions, locations and times of Queens caught are recorded by many fellow ant keepers.